This week, the Appellate Division released a long-awaited opinion which we had hoped would help clarify the standard for claims brought under New Jersey’s Truth-in-Consumer Contract, Warranty, and Notice Act (TCCWNA). The plaintiffs did not allege any injury or damages. Rather, they alleged that Lumber Liquidator’s failure to comply with the state’s Furniture Delivery Regulations disclosure requirements in its sale of hardwood flooring violated the “clearly established” rights of consumers under TCCWNA. 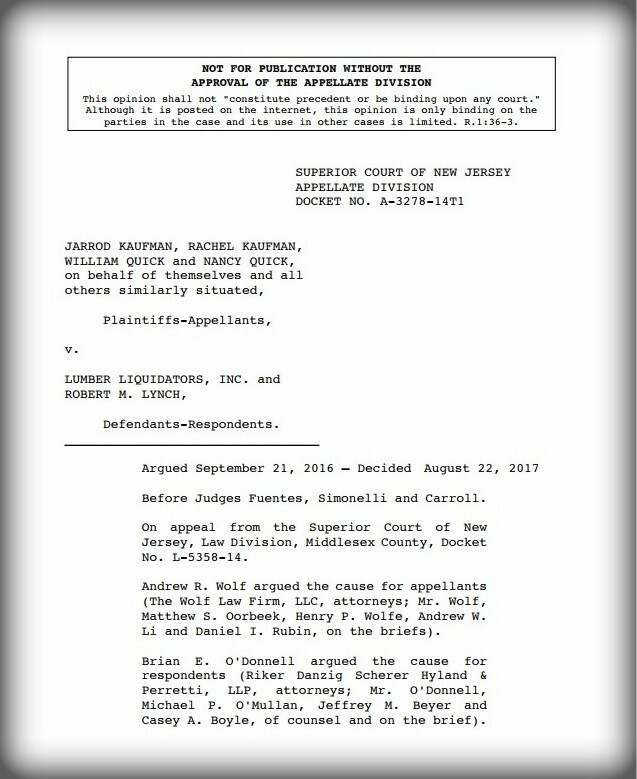 NJCJI argued that the inclusion of hardwood flooring in the category of household furniture certainly was not “clear,” and urged the court to clarify the standard for “clearly established legal rights” protected by the statute. After close to a year’s deliberation, the panel declined to clarify the statute, issuing a brief opinion that merely affirmed the trial court’s decision to dismiss the case. 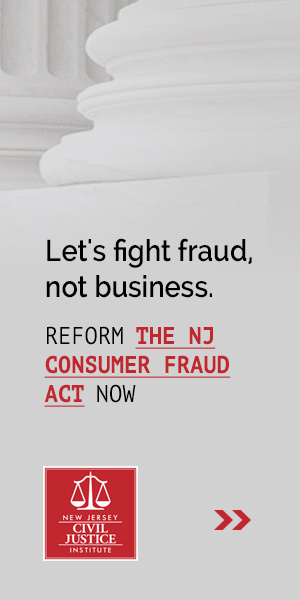 New Jersey’s unique Truth-in-Consumer Contract, Warranty, and Notice Act prohibits consumer contracts with provisions that would violate a consumer’s clearly established legal rights. Meant to deter sellers from deliberately including unenforceable provisions in their contracts, the statute gives consumers the right to terminate contracts that include such provisions, and provides for a $100 civil penalty to aggrieved consumers. Since 2009, when an Appellate Division court first permitted a TCCWNA claim to proceed as a class action, New Jersey courts have seen a dramatic increase in such lawsuits. The significant civil penalty with no requirement to quantify actual damages – when combined with the class action device – produces extremely dangerous litigation and strong incentives to settle. Kaufman v. Lumber Liquidators was a putative class action filed by two couples who alleged no injury or defect in the hardwood flooring they purchased, nor its delivery. Instead, they complained that the invoice they received from the defendant did not include information about delivery dates and the seller’s obligations in the case of a delayed delivery. They claimed such disclosures were required under of New Jersey’s Delivery of Household Furniture and Furnishings Regulations (Furniture Delivery Regulations), and that the omission was therefore also a violation of TCCWNA, entitling them and their fellow class members to $100 per contract. No seller, lessor, creditor, lender or bailee shall in the course of his business . . . enter into any written consumer contract . . . which includes any provision that violates any clearly established legal right of a consumer or responsibility of a seller, lessor, creditor, lender or bailee as established by State or Federal law at the time . . . the consumer contract is signed . . . Joined by the U.S. Chamber of Commerce, NJCJI submitted an amicus brief, urging the court to clarify the standard for the “clearly established” rights of a consumer under the statute. Given the extraordinary remedies provided by the law – potentially ruinous liability when brought as a class action – we argued that the legislature’s decision to require a “clearly established” violation provides a critical safeguard against unjustified litigation. Accordingly, we urged the court to clarify that rights protected under TCCWNA must be clear and unambiguous on the face of the statute at issue or under controlling and dispositive decisional law, and must be settled at the time the contractual provision is entered into. Unfortunately, the panel failed to adopt our recommended standard, or any other. After concluding that hardwood flooring was simply not “household furniture,” they declined to clarify what would constitute a right that was clearly established. The TCCWNA statute will continue to be abused until the courts bring some clarity to its undefined terms. We are currently involved in three other TCCWNA cases as amici, and we are monitoring many others. If you have a case you would like us to take a look at, please contact our President, Alida Kass. Thank you to Gavin J. Rooney and Naomi D. Barrowclough of Lowenstein Sandler for their excellent work on NJCJI’s behalf in this case.